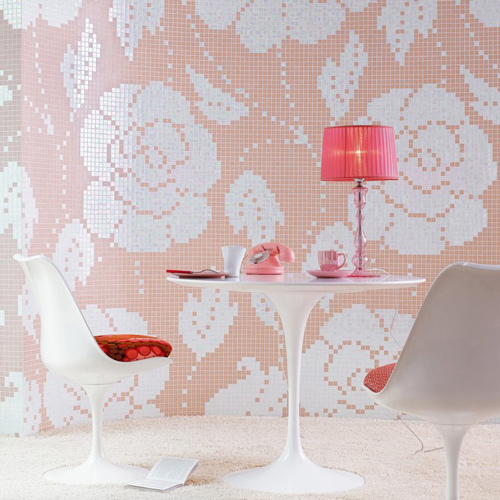 Check out this romantic and elegant mosaic tiles by Bisazza. 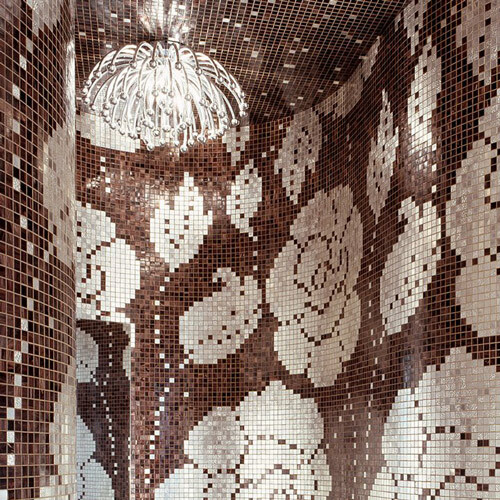 Mosaic tiles are a fantastic way to create interest and enhance the decor and general feeling of a space. These particular are quite gracious. 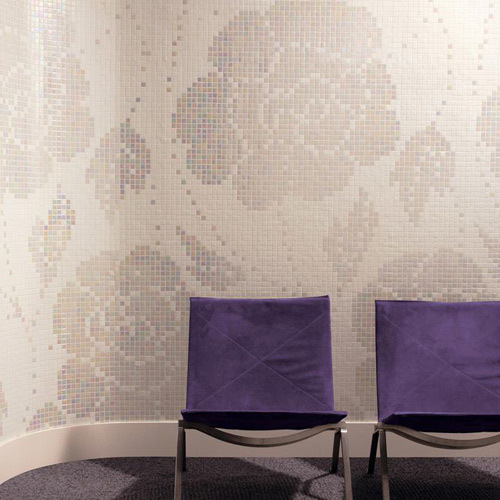 Something as classic as a flower becomes something modern, stylish and elegant due to the pixelated feeling of the tile pattern. With different color schemes, you can achieve different looks too. The white neutral option is calm and polished, while the black and white is extremely more dramatic. 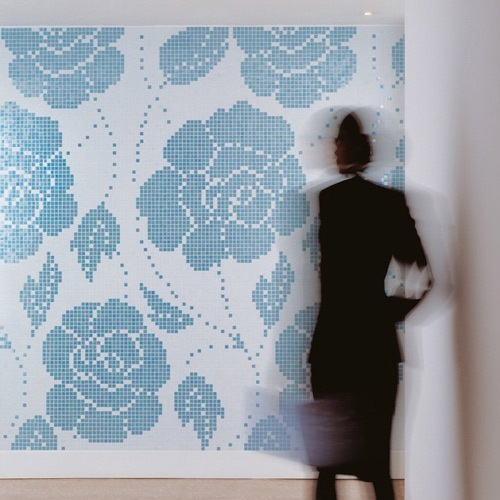 Or opt for a color version to complement your interior scheme or for a more jovial look. 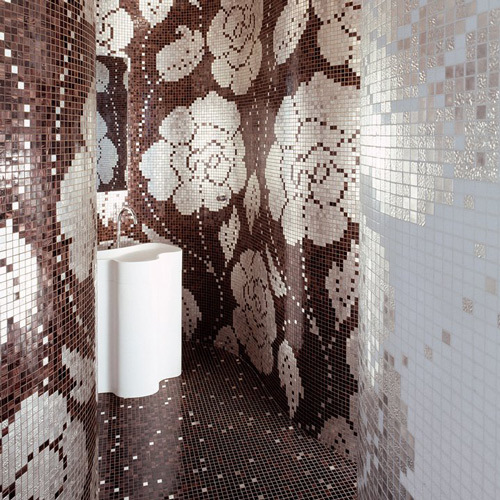 Visit Bisazza for more info.